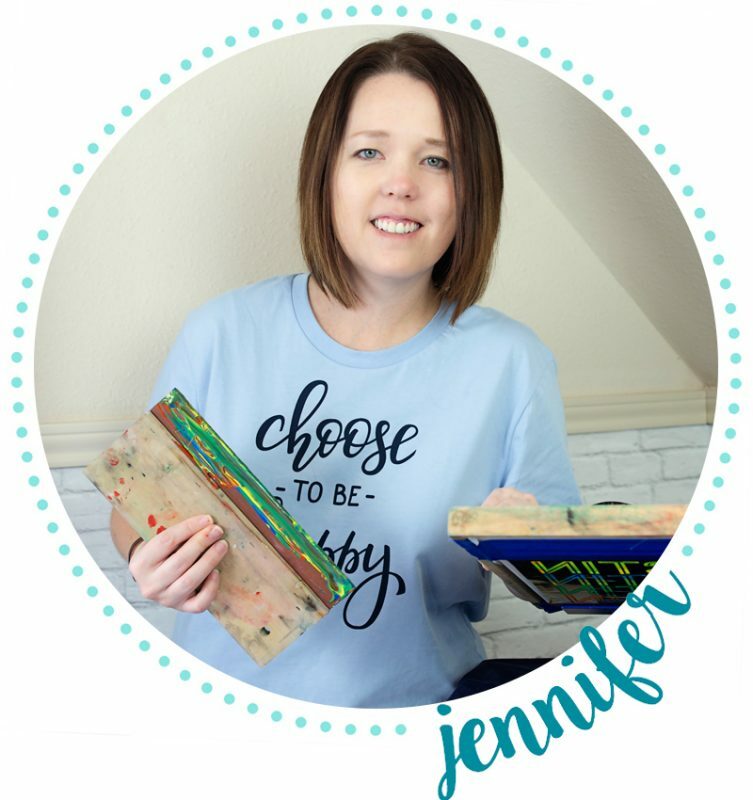 Are your kids still into slime making? 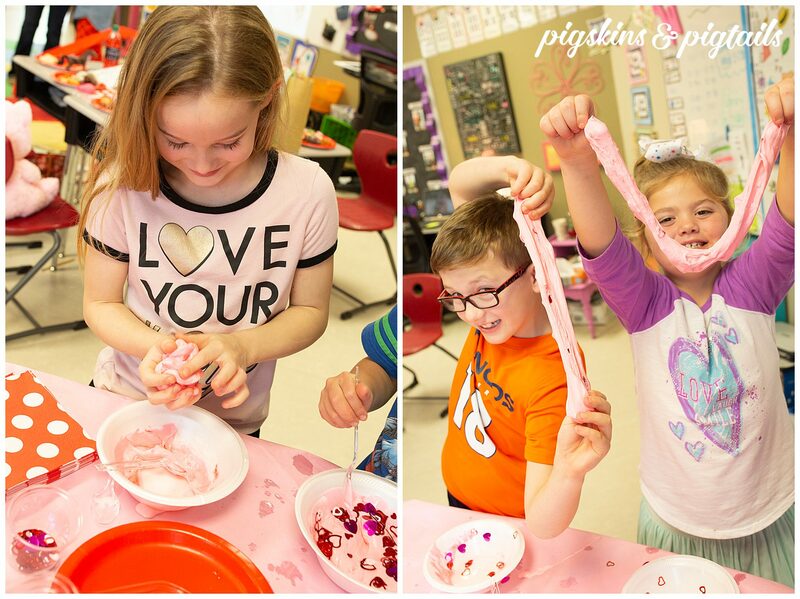 The gooey mess is still a favorite craft activity for my girls. 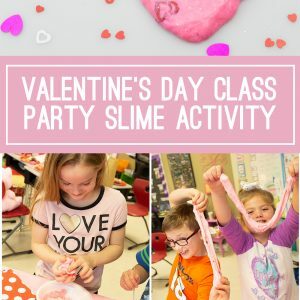 Add a little red food coloring, glitter and metallic confetti to your favorite slime recipe for a Valentine’s activity that the whole class will enjoy. This is an easy activity to do with 20+ kids. You’ll need a gallon of glue and a few other ingredients (listed below). We started with glue, added water, and mixed. Next, they added their desired amount of food color and glitter. Then we added in the baking soda and saline solution. 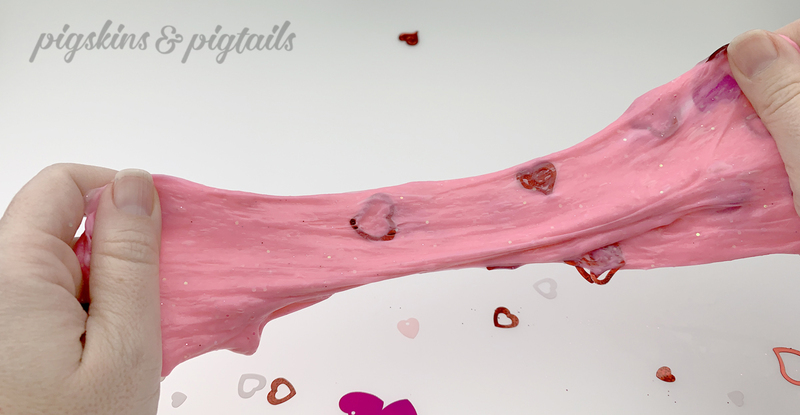 After a few minutes of stirring and kneading, your slime is all ready to play! I was surprised this didn’t make much of a mess. The slime consistency turned out perfectly so it wasn’t too sticky to handle. Recipe can be found below – keep scrolling. 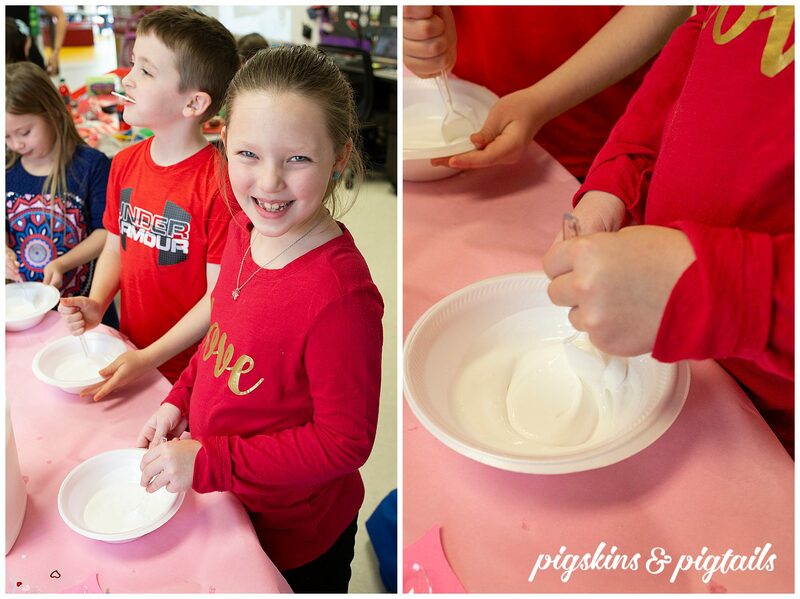 I highly recommend this Valentine’s Day classroom activity! What are your favorite classroom party activities? I’d love to know what you’ve tried – share in the comments below! STEP 1: Measure 1/2 cup of glue and pour into your bowl. STEP 2: Add 1/2 cup of water and mix the two ingredients together. STEP 3: Once the two are well mixed, it’s time to add color, glitter and confetti. Make sure to stir well. STEP 4: Add a 1/2 teaspoon of baking soda to the mixture and mix it in. This helps the slime firm up a bit more and create a solid. STEP 5: Add one tablespoon of saline solution to the whole mixture. STEP 6: Mix…mix…mix. You need to stir fast like you are trying to really whip up something! If it still feels loose, you can squirt a bit of solution into the bowl. STEP 7: Once the slime looks like it is pulling away from the sides and bottom of the bowl nicely, the final step is to knead your slime. Brenda, a slime station on Friday sounds FUN! I’m sure it will be a big hit with all of the elementary kids.